Neil Clark: Hodgson can appeal to fans who want a passionate Englishman and those who demand a cerebral continental. A FEW Sundays ago my wife and I and other family members went out for the afternoon to the picturesque Cotswolds village of Bourton-on-the-Water. In the car park I saw a man, elegantly dressed, studiously reading the information board about the area. I recognised the man, but other passer-bys didn't. It was Roy Hodgson, a Premier League manager, who instead of spending that Sunday afternoon watching the football on Sky, had decided to do what we had done, and go to visit a place of interest. How many other Premier League managers - caught up in the all-consuming world of top-flight football - would have done likewise? UPDATE: It's official. 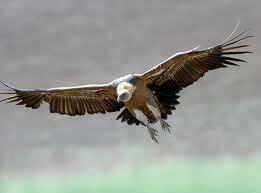 Roy Hodgson is the new England manager. Neoliberal Britain: We're all in it together.......not! Britain's wealthiest people saw their fortunes rise to record levels last year, according to the annual Sunday Times Rich List at a time when most Britons' earnings and savings were squeezed by inflation and low interest rates. The combined wealth of Britain's 1,000 richest people swelled by almost 5% to more than £414bn, the highest recorded by the 24-year-old survey. Isn’t neoliberalism wonderful! And no wonder the man in the picture above has got such a huge grin on his face. Going Dutch: The Netherlands to abandon the Euro? Above you can watch an interview with me on Russia Today (RT), on the problems facing The Netherlands due to their membership of the Euro. P.S. On the subject of RT, don't miss Julian Assange's great new series, The World Tomorrow. If you missed it on the television, you can watch here. This article of mine appears over at The Week/The First Post. the Eurozone had been overstated, and that the only places where there had been significant political fall-out were Greece and Italy, whose economies weren't too strong in the first place. But yesterday's events in The Netherlands have blown that argument right out of the water. For the first time, the government of a prosperous northern Europe country - one which has been held up by EU enthusiasts as a model of how things should be done - has collapsed on account of the continuing Euro crisis. RT reports: The US is refraining from defining waterboarding and other questionable interrogation methods it used to apply to terrorist suspects as torture, possibly with a view to using them once again someday. Years after the Bush administration left office, many feel President Obama is not doing enough to make up for America's past mistakes. This includes torture treatment of terrorist suspects by the US investigators. Such torture techniques include waterboarding, stress positions and other methods of interrogation welcomed into American secret service after 9/11 paved the way for the War on Terror. Above you can watch an interview with me on the elite ‘stitch-up‘ over the crimes of previous administrations, which goes on in both the US and the UK. More on this story here. This piece of mine, on the great comic actor Arthur Lowe, appears in the Daily Express. Neil Clark: THIRTY years ago, the actor Arthur Lowe died suddenly and alone aged 66. The sad irony is that today Dad’s Army, the TV comedy which made him famous as the self- important Captain Mainwaring, is more popular than ever. Don't tell him Pike! 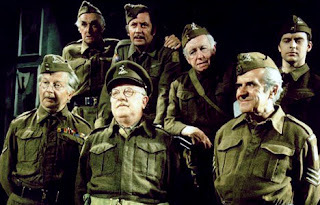 That classic line which comes as part of a hilarious encounter between Captain Mainwaring and a captured German U-boat commander in an episode of the ever- green comedy series Dad’s Army is regarded by many as the funniest line in British television history. The actor who delivered it, Arthur Lowe, made – and continues to make – millions laugh with his wonderful portrayal of the self-important and accident-prone bank manager turned Home Guard captain, helping to turn his character into one of the best-loved comedy creations of all time. Yet for all the pleasure he gave Arthur Lowe had a sad demise. Thirty years ago this week the man who was Captain Mainwaring died alone in hospital following a stroke suffered in the dressing room of a Birmingham theatre. IT WAS the best of Nationals. It was the worst of Nationals. It was also the end of an era. BBC television, covering the historic steeplechase for the last time after a 52-year association before it moves to Channel 4, could not have gone out with a more dramatic, incident-packed broadcast. On the positive side, we saw the closest finish in the race's history, as 33-1 outsider Neptune Collonges pipped Sunnyhill Boy by a nostril in a photo-finish. 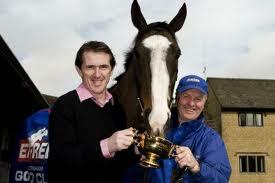 Third was Seabass, ridden by Katie Walsh, who, came close to becoming the first woman rider ever to win the race. But elsewhere on the Aintree track a very different story was being played out, as two fine horses, the Gold Cup winner Synchronised, and the gallant Northern handicapper According to Pete, were destroyed after injuries sustained following falls at Becher's Brook, the National's most dangerous fence. UPDATE: You can hear me discussing Saturday’s Grand National and possible changes that could be made to make the race safer, on BBC Radio Wales, here. Out now over at The Week/The First Post. IT IS arguably the most exciting sporting event anywhere in the world. Tomorrow afternoon at 4.15pm (live on BBC1) 40 horses and jockeys will race off towards the first of 30 fences in a bid to land jump racing's most famous steeplechase: the Grand National, worth £547,268 to the winner. After last year's race, in which two horses were killed, the formidable Aintree fences have been modified. But the four miles four furlongs marathon still represents a supreme test for both horse and jockey. As to finding the winner, it's not as difficult a task as it first appears. You can read my guide to the 40 runners in Saturday's Grand National here. This review of mine, of R.J.Stove’s excellent new biography of the great 19th century composer César Franck, appears in The Spectator (Australia). 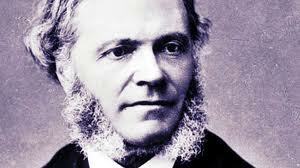 Described as ‘mediating between the tradition of the German instrumental music and French classicism’, César Franck was a composer, organist and pianist who produced some of the 19th century’s finest musical works. Yet despite the regard in which he was held by his peers (‘he writes very beautiful music very seriously’ was the verdict of one Ferenc Liszt) he remains, in the words of his Australian biographer — and fellow organist — R.J. Stove, ‘the most underestimated and misunderstood of the 19th century’s musical masters’. Stove’s new life, the first English language biography of Franck to appear since the early 1970s, will hopefully put that right. In his opus we get plenty of clues as to why Belgium’s finest composer hasn’t always received the credit he deserves. You can read the whole of the review here. On the subject of ordinary people being oppressed and exploited by the rich and wealthy, do take a look at the previous blog post, on the rising tide of austerity suicides in Europe, and also this story. (cross-posted at the Campaign for Public Ownership website). Dimitris Christoulas, who shot himself dead near the Greek parliament yesterday, is not the only one. Christoulas killed himself the day after another European pensioner threw herself from the balcony of her third-floor apartment in the Sicilian town of Gela. The 78-year-old Italian woman was protesting at her monthly pension being cut from €800 to €600. Her son, Bruno Marsana, is reported by the Telegraph to have said: "The government is making us all poorer, apart from the wealthy, who they don't touch, in contrast with us workers and small businessmen who are struggling with heavy debts. And as ordinary Europeans feel the pain of the Politics of Austerity, what do those inside the Westminster bubble- including those who want us to believe they are on the 'left'- do? Spend their time attacking a man who rejects the economic model which is causing so much human misery. HE WON because he shamelessly pandered to Muslim voters' "religious passions" and "prejudices about conflicts abroad". He won because there were outstanding local issues and widespread dissatisfaction with Bradford City Council. He won because... well, he's a showman and a good public speaker. 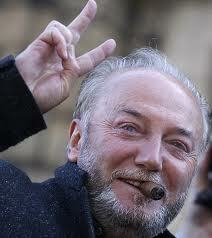 Britain's political and journalistic elite have come up with a variety of reasons to account for George Galloway's stunning by-election win in Bradford West last Thursday, but the majority agree that his win was both (a) a terrible day for democracy and (b) a one-off that thankfully won't be replicated in a general election. But are they right – or could the political elite be in for the biggest shock of their lives? Fasten your seatbelts for a VERY bumpy ride: Madness on Wheels, on BBC4 at 9pm tonight. MADNESS ON WHEELS TRAILER from BIGGER PICTURE on Vimeo. Motor sports fans in the UK are in for a real treat tonight with the documentary Madness on Wheels, to be shown on BBC4 at 9pm (you can watch a trailer above). The documentary, by the same film-making team (Bigger Picture) that made ‘Deadliest Crash: the Le Mans Disaster‘, which I wrote about here, and the equally brilliant Grand Prix: The Killer Years, (which I can also heartily recommend), tells the dramatic- and I mean dramatic- story of Group B rallying in the 1980s. I was lucky enough to attend a preview of 'Madness on Wheels' and it’s quite brilliant. The shots of the cars in action are incredible and the interviews with the likes of Ari Vatanen, Walter Rohrl and Christian Geistdorfer - men who risked their lives for their sport, make really compelling television. 'To go rallying is madness. This was refined madness' - John Davenport. If you’re not able to catch tonight’s programme, or any of the repeats on BBC4 in the next few days, or you are able to watch it and would like to buy a DVD copy, then the film is available for purchase here. While here you can purchase a DVD of ‘Grand Prix: The Killer Years’. Good early Christmas presents for anyone you know who loves motor sport.